From my base in Honiara I inbox Connie Bireo that I am coming to Arawa. She gave me her mobile number. When arrived and on the last 3 days of my stay in Arawa I rang her and told her we are leaving on the 19th can we meet up. She agreed and late in the evening after her last patience left she came to meet me with her bodyguard and a security dog. While chatting she heard me coughing and told me if I want the cough to go away she can gave me treatment in her clinic & will give me special fee. I says ok ok that is great as the cough been on me for long even after seeing a private Dr who gave me so many tablets which I gave up drinking them after feeling dizzy. I told her will be at your clinic 8am the next day. 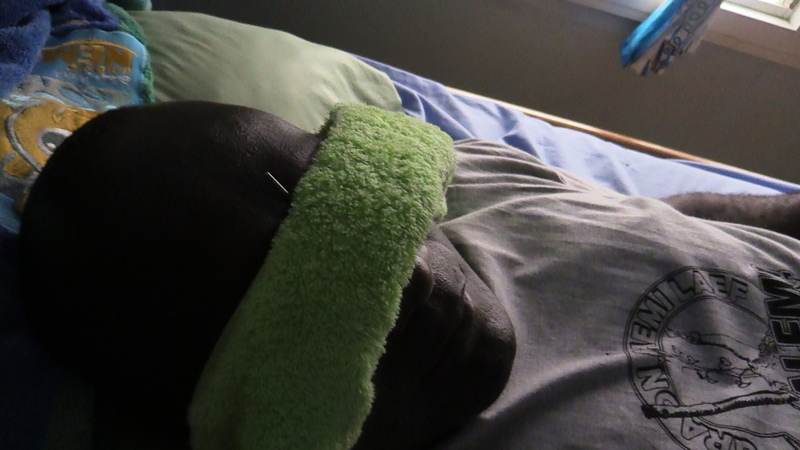 I went there and she only put needles into my hand, leg and head then I lay there for one hour. After one hour I thank her and went to the Conference. 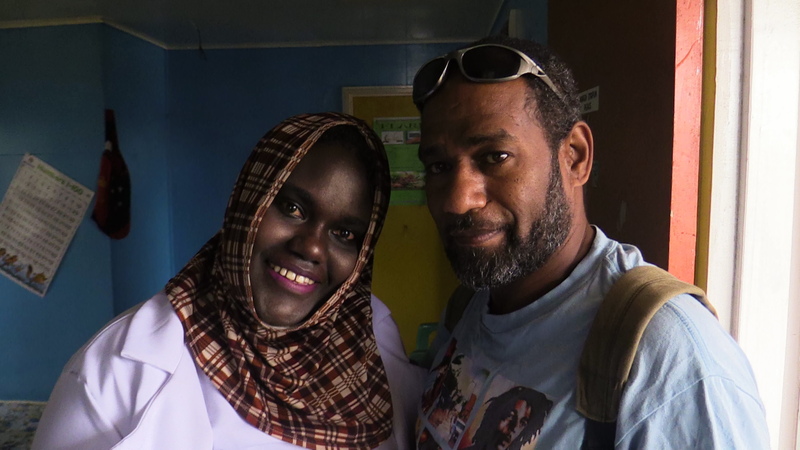 The next day I felt better no cough all gone so I asked her to do a short interview on the camera, she agreed so I asked my bradaman from Kanaky New Caledonia to come with me. 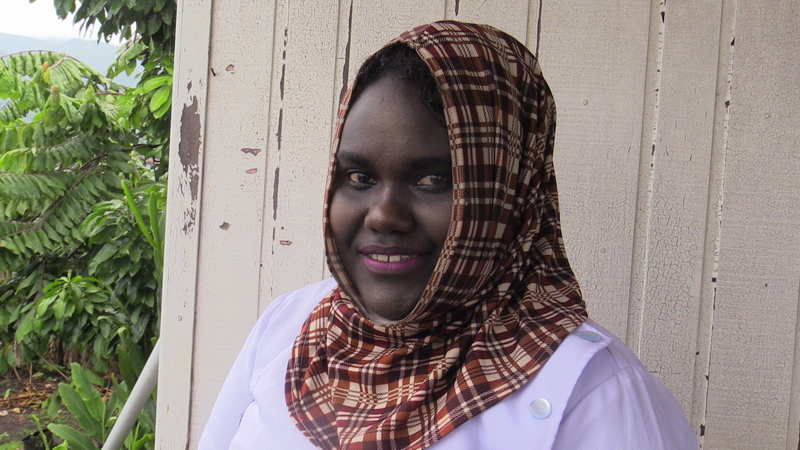 We did a short interviewed with her, one main question I asked her was about the needle she use as many people might get worry if she is using that same needle however she told me she disposes the needle after using it on a patience. She treat 6-8 patience a day and they gets better, the good thing I see is you don’t need to drink medicine. 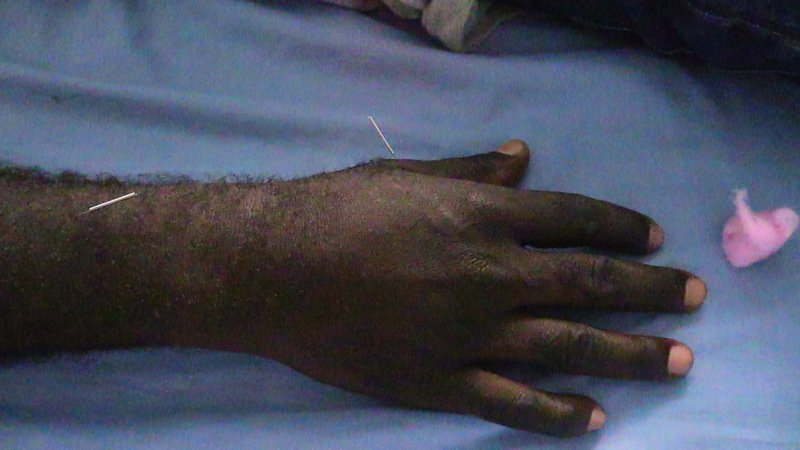 IF you are around Bougainville and Arawa area why don’t try get help from her clinic if you don’t drink medicine. 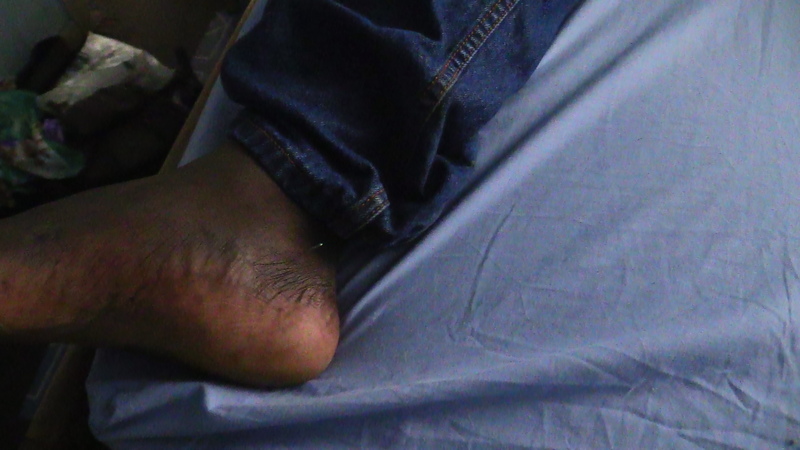 The Clinic located near the Arawa main market second street section 14. 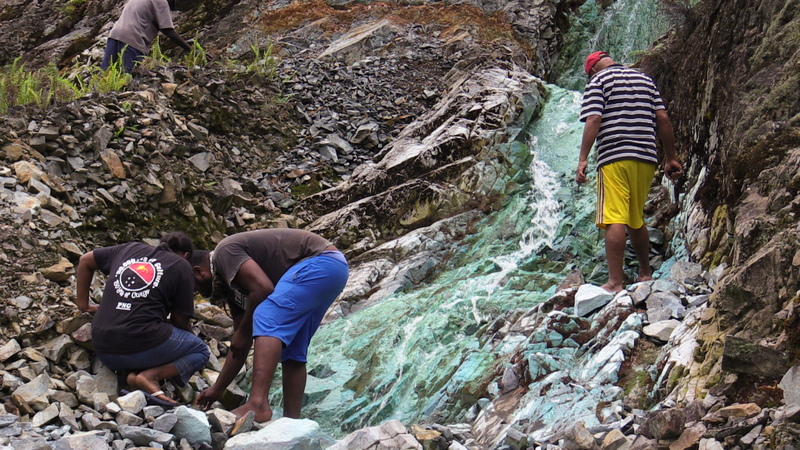 The panguna mine issue is the hottest and very sensitive issue on the ground today. It is dividing communities and families up. BCL is so crazy to reopen it using every possible avenue it can to get people on their side. 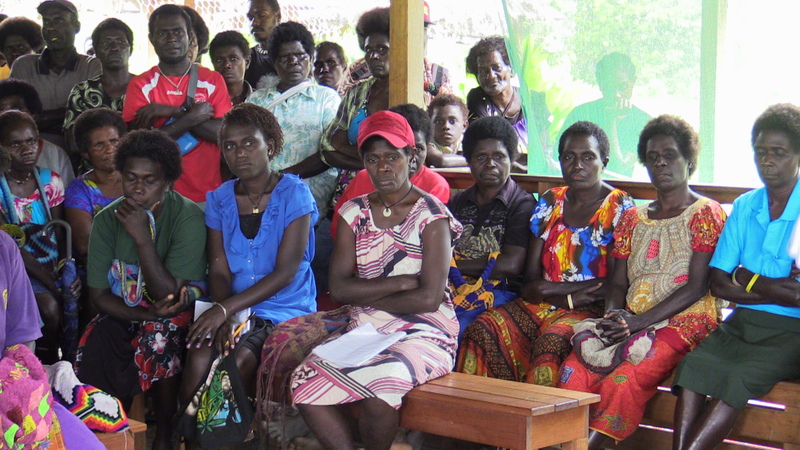 In the meantime ABG is desperate to have money to rung the Government of the day in Bougainville and also pushing for the reopening. 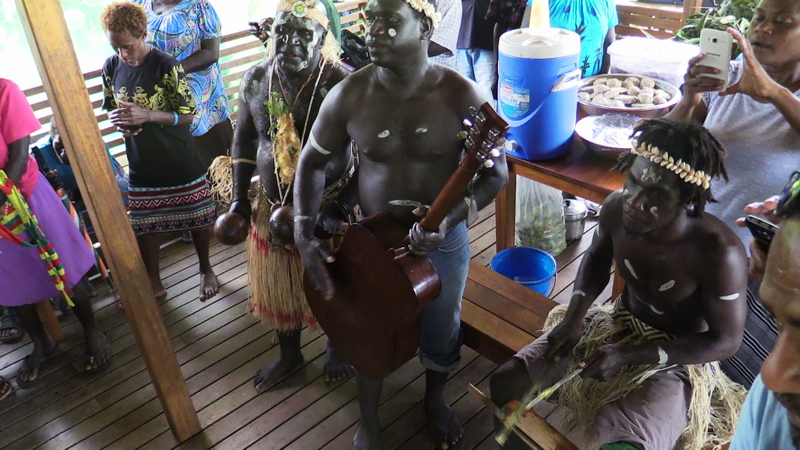 The former BRA ranks and files are also divided, last week another MOU was not sign when the Bougainville Hardliners say no to reopening but yes to keep it close. 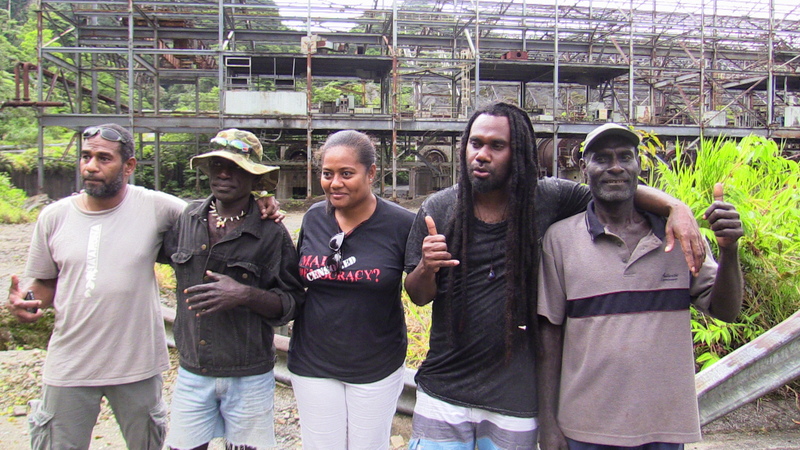 Last week I was in Arawa and late Francis ona’s brother came to me and told me that his sister Joanne whom I been campaigning with against re-opening the mine is on the side of reopening the mine. He told me they must have given her money to change her mind. He says our family is now dividend. Later he and his elder sister came to me and gave me her mobile number. They told me to try and talk with her so that she can change her mind.. I didn’t call her for a reason if they gave her money she might said to me we campaign with no money now I have money so if I join you on no mining will you give me money. 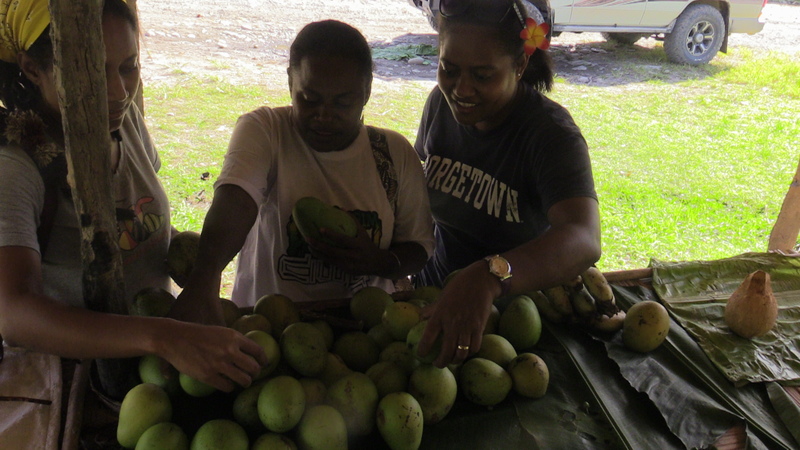 Hope she will change her mind and save the last Guava Mountain to plant sweet taro for tamatama. 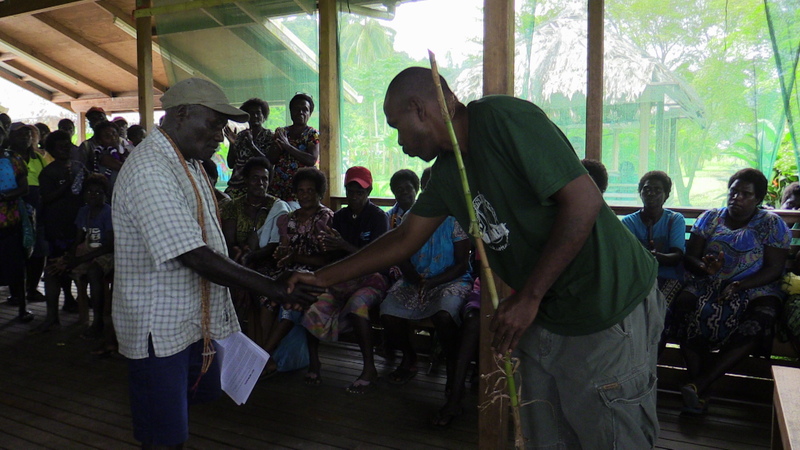 On the 18th August the conference came to an end closing it off with a good note..
Methodius Iapara from Solomon Islands presented a shell money about 2 meters long to Chief Blaise Iruinu. 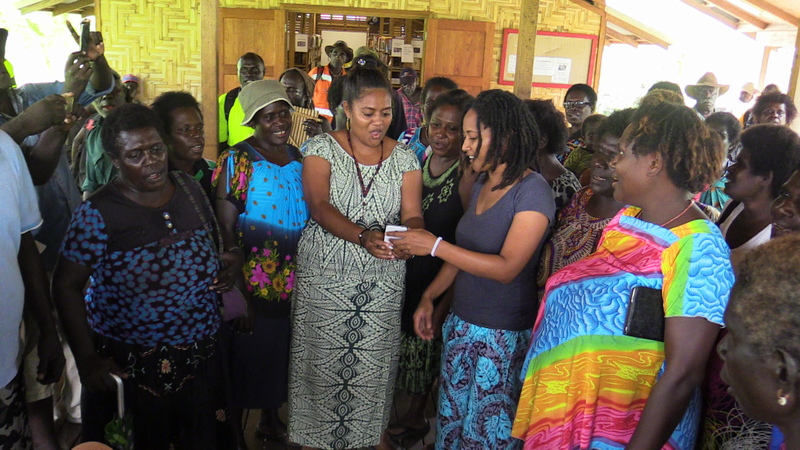 The Shell money a traditional money for Solomon Islanders especially Malaita province but also use in parts of Bougainville. 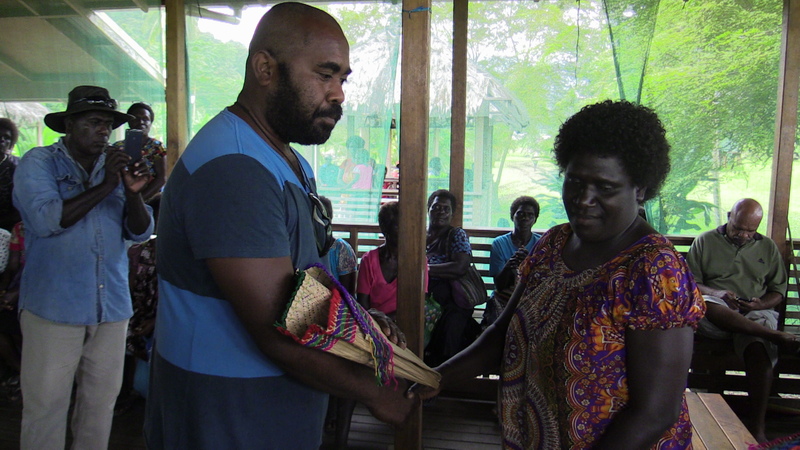 He gave him as a token of appreciation and on behalf of the team also as a sign of good will and power to the Melanesian brothers & sisters of Bougainville. 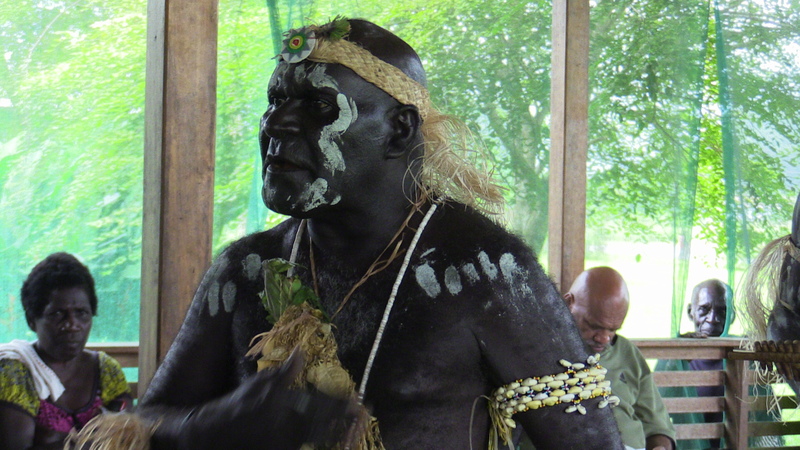 Chief Mark and others performed couple traditional or cultural songs and dances, The Guava Villagers sang a good bye song for us, from the MILDA team the Fijian girls sang a song Isalei..
Bougainvilleans who attended the four days conference told me they learned a lot from the brothers and sisters of the other Melanesians countries, because we have the same problem in our countries. 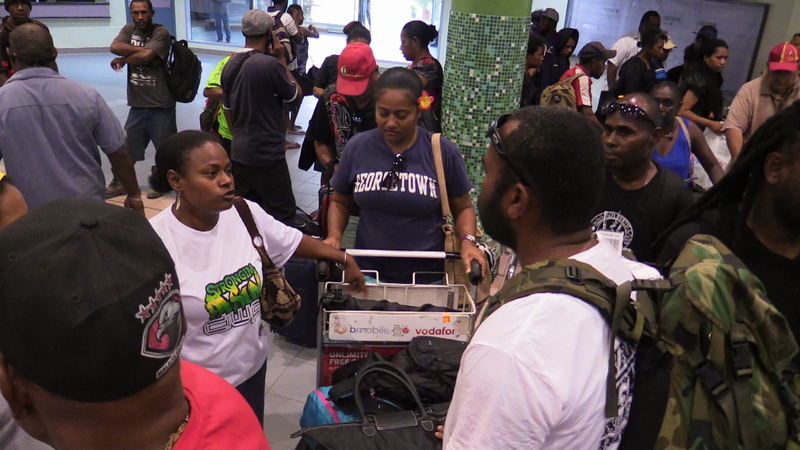 19th August we traveled the 4 hours trip to Buka and fly to Port Moresby. 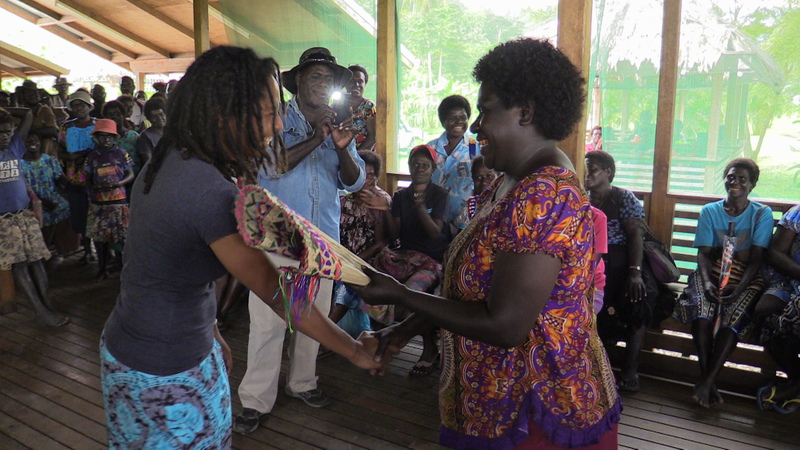 20th August we say goodbye to our Png team member Christina, she flew back to her home province Medang. 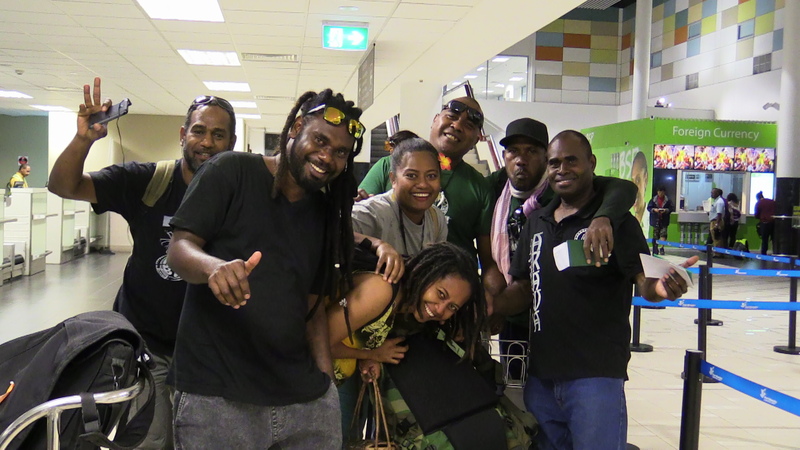 The 9 of us flew on the same flight to Honiara, Methodius and I stopped in Honiara while the rest flew to Fiji then to New Caledonia & Vanuatu. 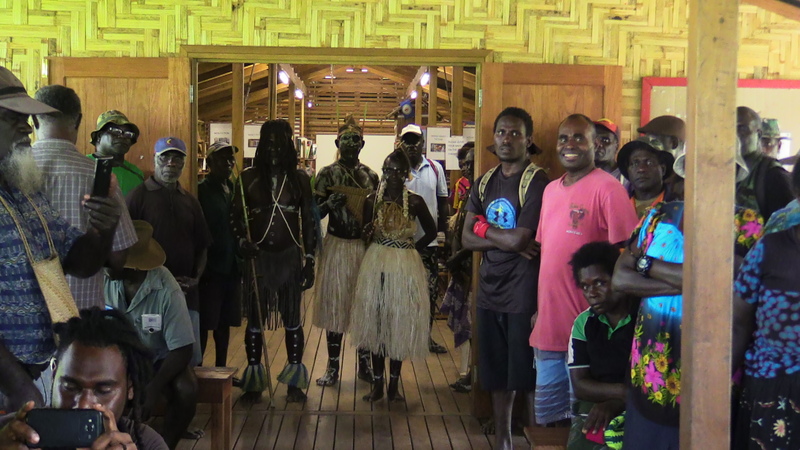 I was so glad to meet with this team of Melanesian brothers and sisters who I found them to be an inspirational team, I hope I will see them again while trying to save our Island countries in a small way we can for the betterment of our future children and their children to come. Special Tampara goes to Symoh Joel [Wansolwara Bradaman] for taking me on the trip. Two DVDS will be produce about the trip so keep in touch. Remember our Islands future, our island future, our island don’t sell out please. 13th Sunday we rest in the morning side. 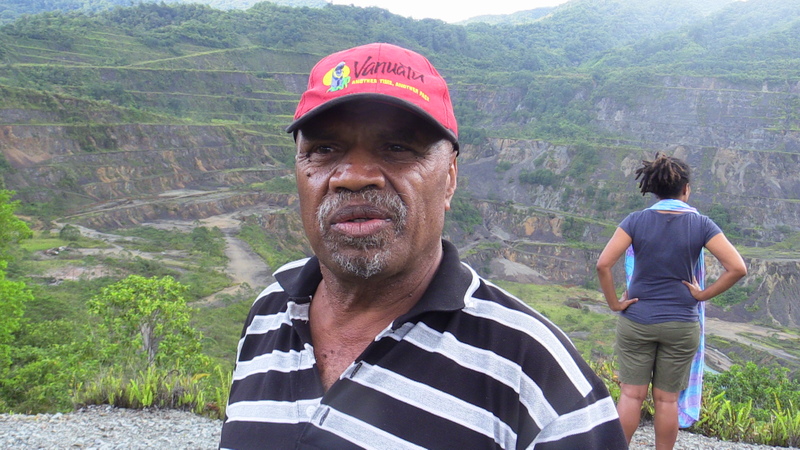 Later in the afternoon we jumped on a truck and went up to Panguna mine site. 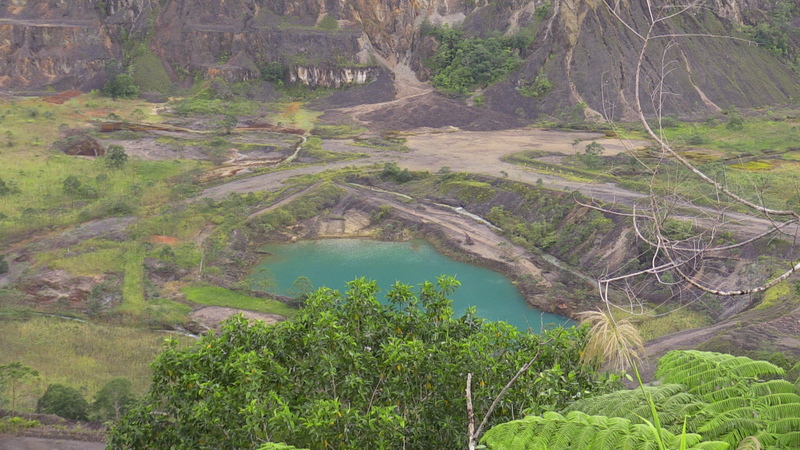 After nearly 2 years not visiting the mine pit I saw more trees growing, making the pit looking more greener. Methodius after seeing the pit says this is too much.. 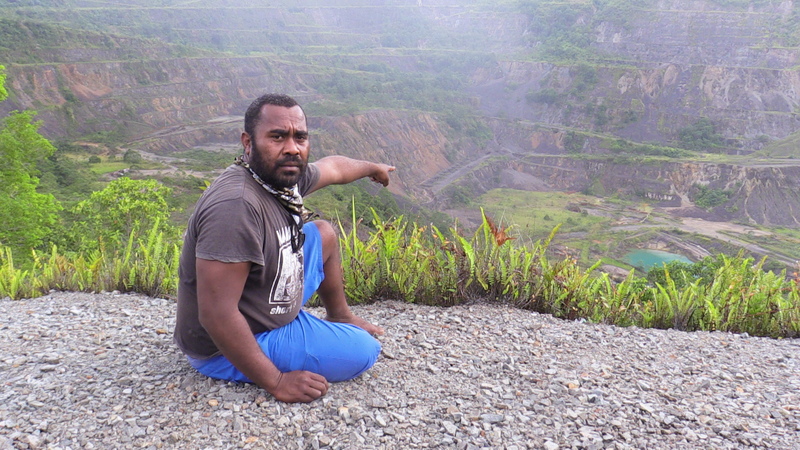 I did some interviews with the team asking them what would they think if they are to dig a hole like this in their back yard in their country, The team leader Symoh Joel says he would not like it and would advice any Melanesians countries not to think of big scale mining operation like this. He would strongly want to see economy base on agriculture. 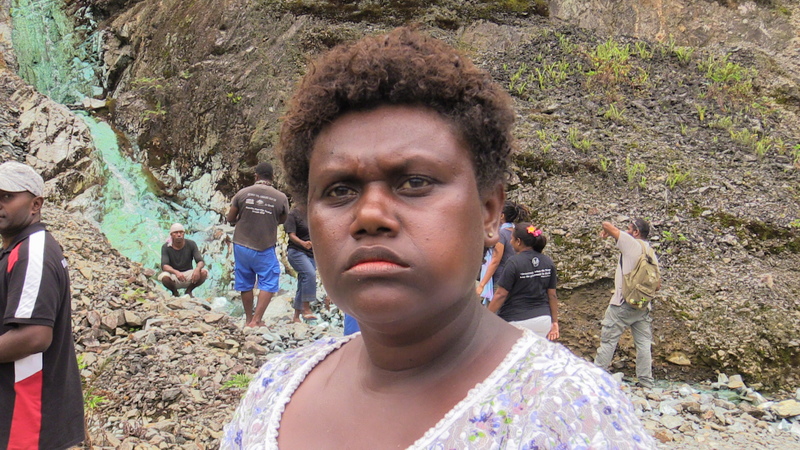 Seini Bukalidi from Fiji was in tears just as I pressed the record button, with tears in her eyes she says this is too much for our mother earth. 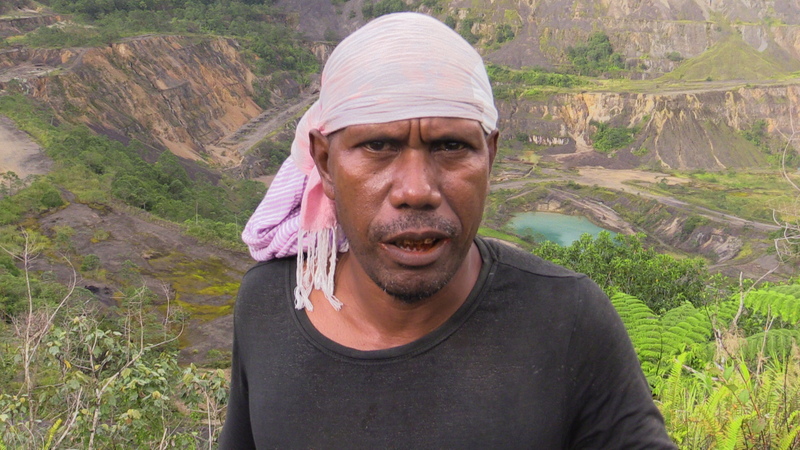 Methodius from Solomon Islands says now I see the place and stand on it and know why the Indigenous people from this land had to stand up to stop the mining if not the other mountains will be gone as well. We went back to the village later in the evening, I sense that there was a problem. 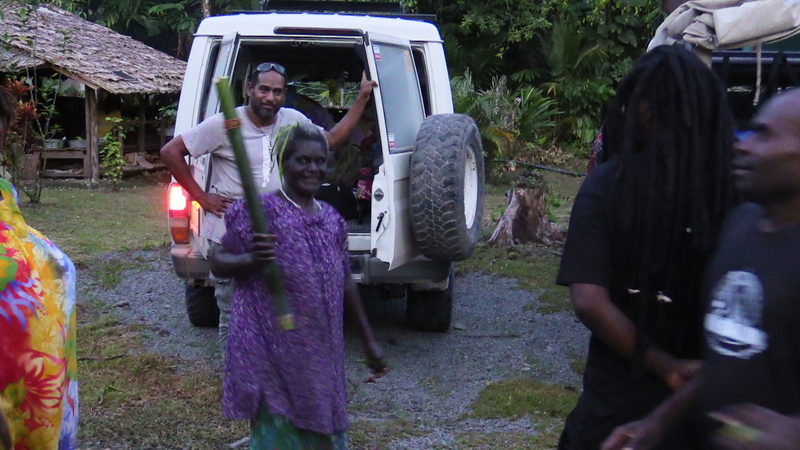 About 10pm Theonilla and her husband the ground host told us that we will go down to Arawa and held the conference there from Tuesday 15th August. The Young Generation group who are pro mining group disagree for the conference to take place in Makosi..
Monday 14th August jumped on the truck and went to Arawa..The conference held in Arawa Haus Stori from 15th to 18th people came from different fractions and with different ideas all share with the Pacific Melanesians brothers and sisters. James Tanis a secretary in the Referendum department of the Autonomous Government came to brief the participants & the visitors about the referendum process. 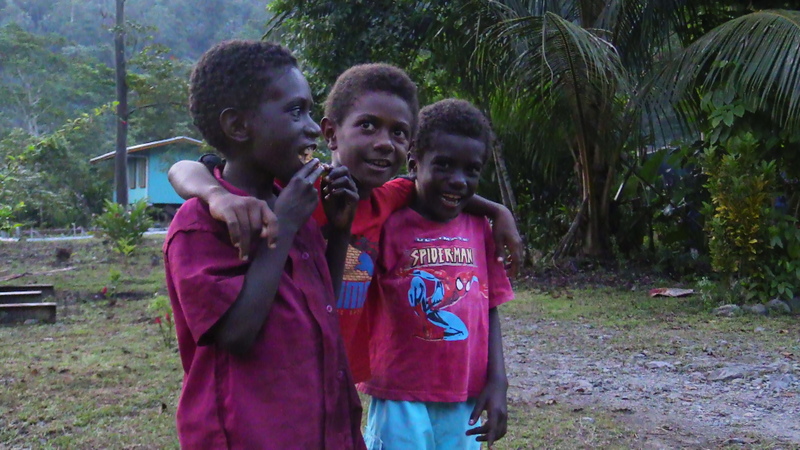 Some two months ago my facebook friend from Vanuatu Symoh Joel [wansolwara bradaman] told me that they are going to my beautiful island, Bougainville. He says they will have a meeting in Panguna from August 14-18th, I reply and asked him if I could join in and film their trip. He replied and asked me how many with me, I told only me and myself. I was on my toes when he told me I am in, awesome I say to myself thanks wansolwara bradaman. I delay my other overseas trip cos I want to be part of this team call MILDA who are visiting my island. MILDA. Stands for MELANESIAN INDIGENOUS LAND DEFENCE ALLIAENCE. 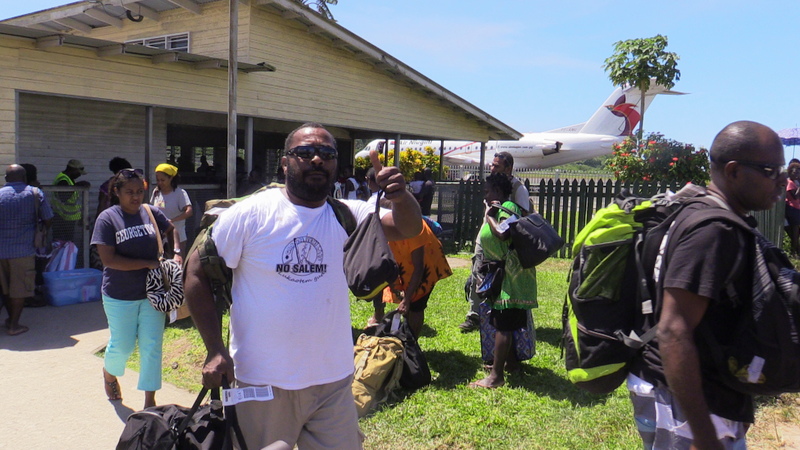 I met with Methodius Iapara a member of the team from Honiara before we boarded the Air New Guinea flight, met 3 members from Vanuatu and a bradaman from New Caledonia on the same flight. 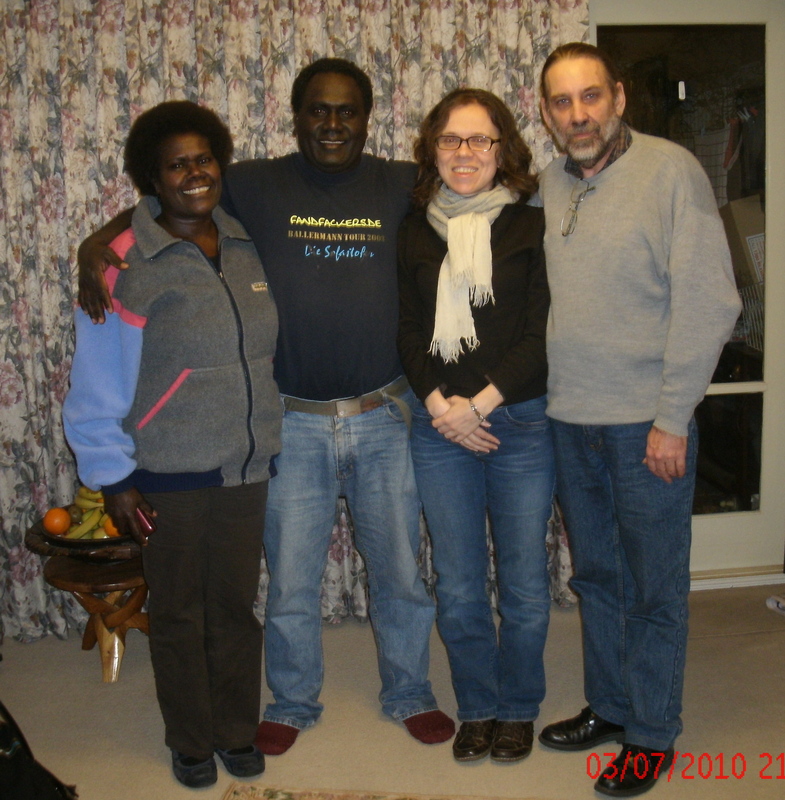 Mr Iapara knows the 3 Vanuatu members but brada kanaky is a new member like me, we became very good friends in no time. 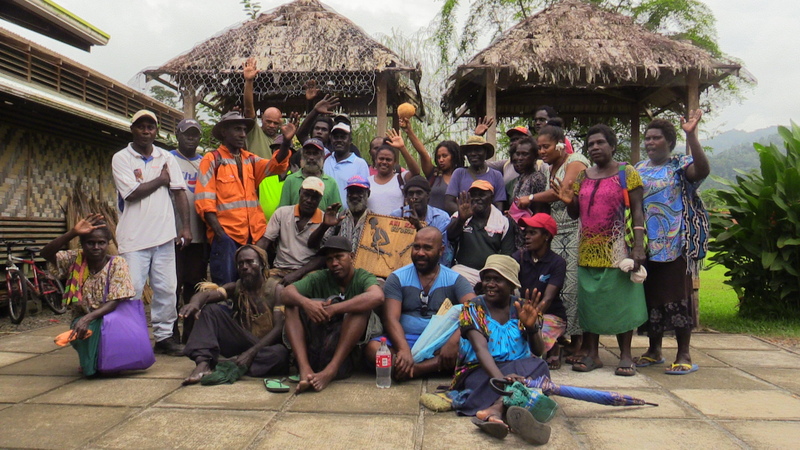 In PNG capital Port Moresby we met the rest of the team, Symoh Joe the team leader who was in PNG couple days earlier and the two girls from Fiji with one girl from Png a total of 10 in the team. Saturday 12th August an early morning flight to Buka was delayed so we arrived tin Buka after 12pm. 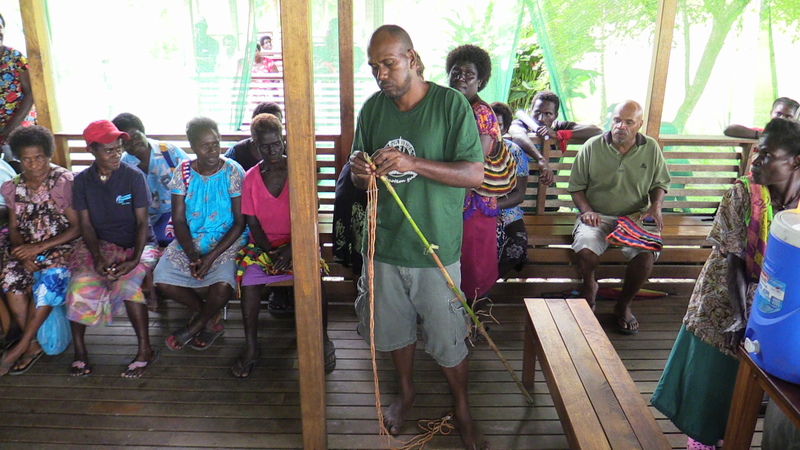 Nathan and two women were in Buka to wait for us. 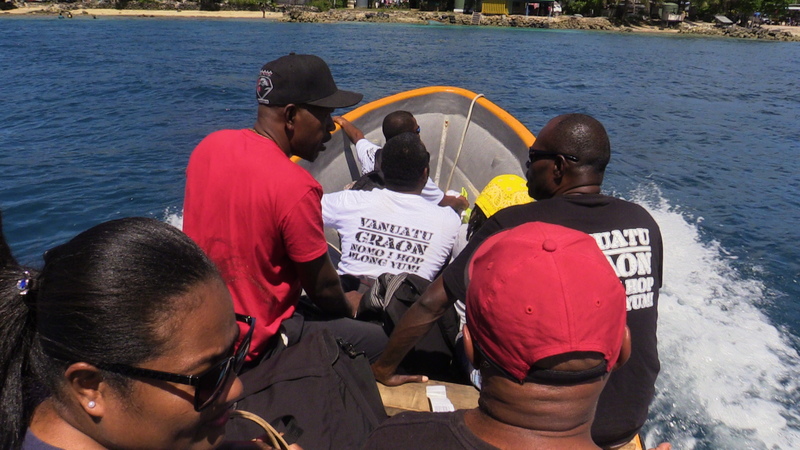 Took a bus to catch the boat across to the mainland Bougainville. 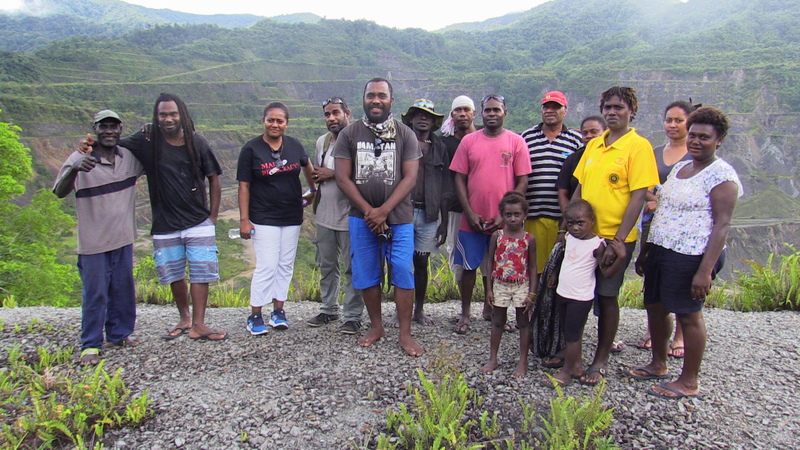 From Kokopau we travelled to Arawa about 4 hours trip then went to Panguna down the tailings to a village call Makosi where the conference going to take place. 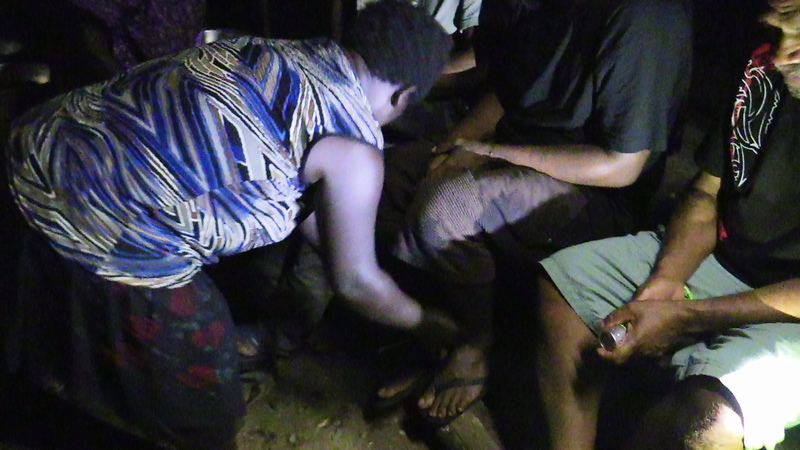 A small traditional welcome by a village senior woman which she sprinkle water from bamboo to us, later in the night a more formal ceremony was held, in Nasioi call it Dutasisi with a coconut oil from the traditional food tamatama wipe the part of face and leg. 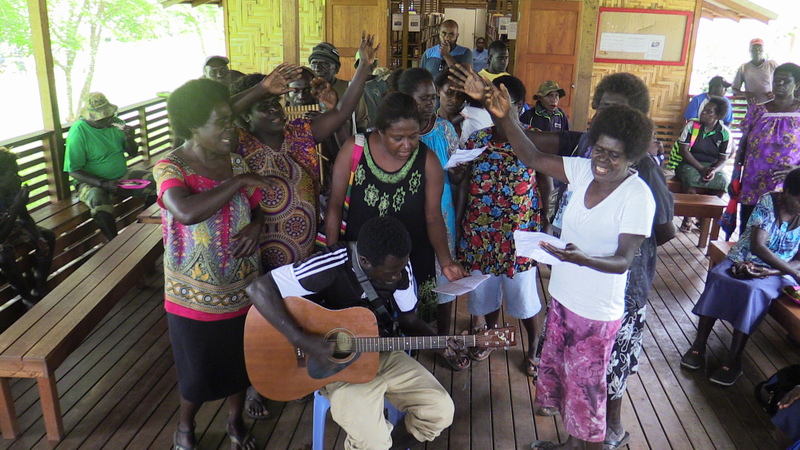 The other women were chanting traditional tune when two women did it.